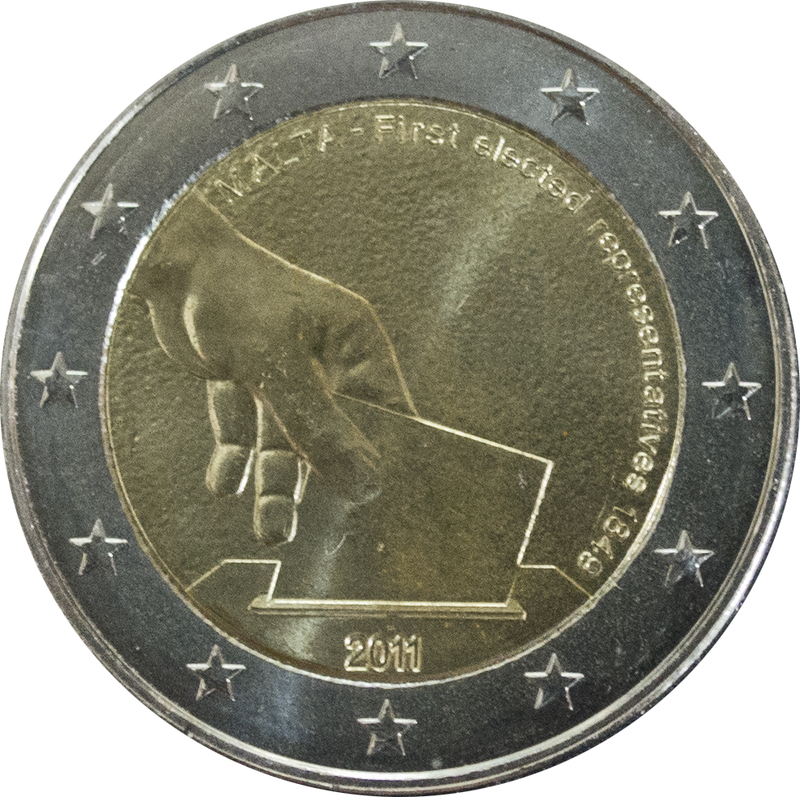 The inner part of this coin, the first of a series of five coins to be issued over a period of five years to mark major milestones in Malta’s constitutional history, features a hand inserting a ballot paper into the ballot box to commemorate the election in 1849 of the first Maltese representatives to the Council of Government advising the British Governor of Malta, which had been a British colony since the Treaty of Paris of 1814. The upper right outer edge of the inner part of the coin bears the words “MALTA – First elected representatives 1849”. The 12 stars of the European Union are depicted on the outer ring of the coin. A map, next to the facial value, shows the European continent without borders. 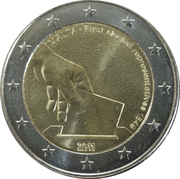 Luc Luycx is the designer of the common side of the euro coins. Luycx is a computer engineer, and medallist living in Dendermonde, Belgium, and has worked for the Royal Belgian Mint for 15 years. 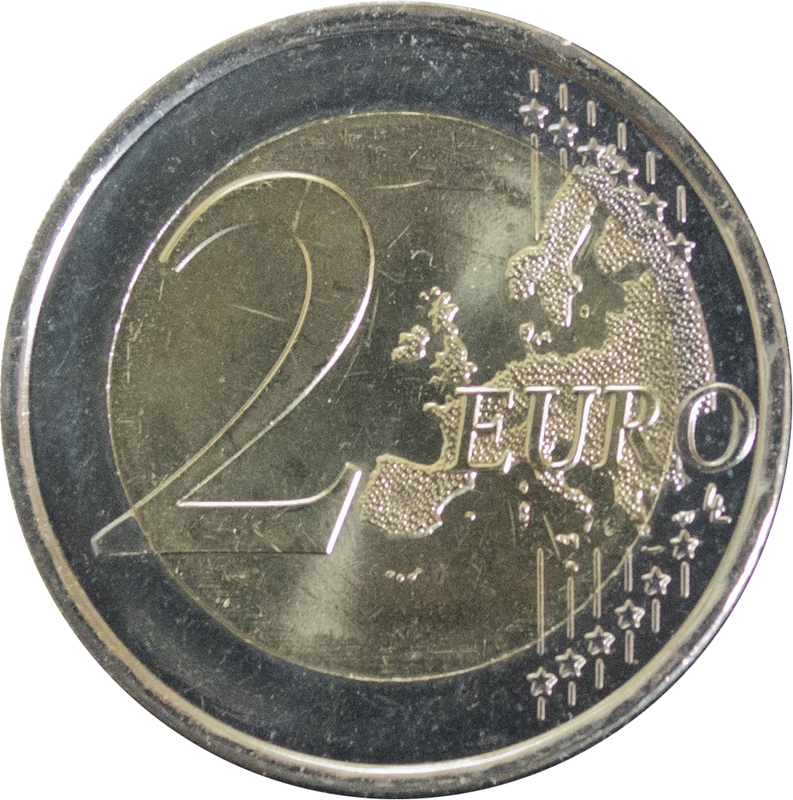 He designed the euro coins in 1996.